သက္တံ႔ေရာင္ ေ၀လငါးနွင္႔ သၾကားလံုး Author :Kitttiya Leekrongsakun This storybook helps students learn Thai Vowel, which is suitable for grade 1 - 3. 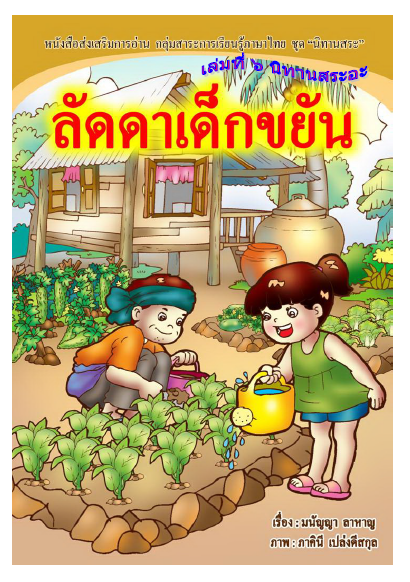 ခ်စ္စရာေကာင္းေသာ ေမေမ၀က္ Author :Department of Curriculum and Instruction Development, Ministry of Education This supplementary reading book is suitable for grade 1 - 2. 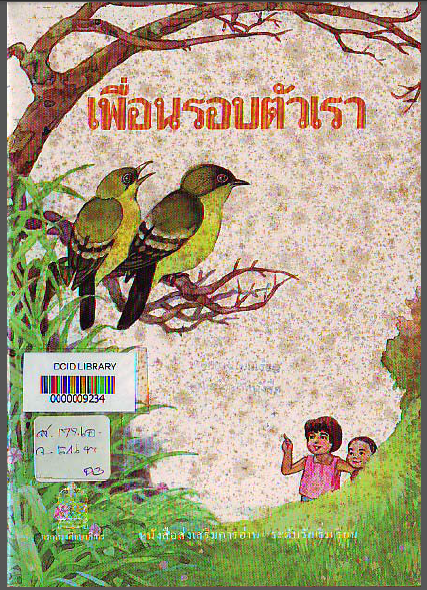 This supplementary reading book is suitable for grade 1 - 2. ႏွစ္သစ္ကူးမွာ ေစ်းသို႔ အလည္တေခါက္ Author :Department of Curriculum and Instruction Development, Ministry of Education This supplementary reading book is suitable for primary level students. 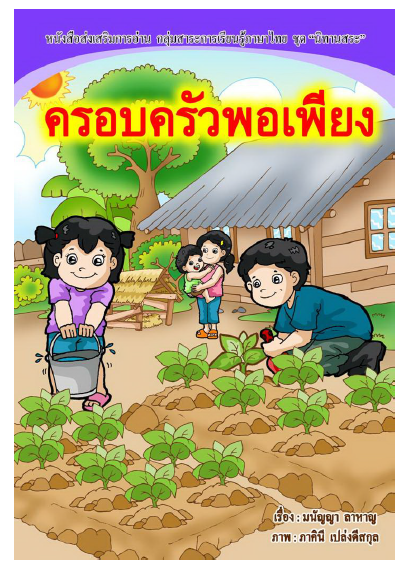 က်ီးဘာေၾကာင္႔မည္း Author :Department of Curriculum and Instruction Development, Ministry of Education This supplementary reading book is suitable for primary level students. 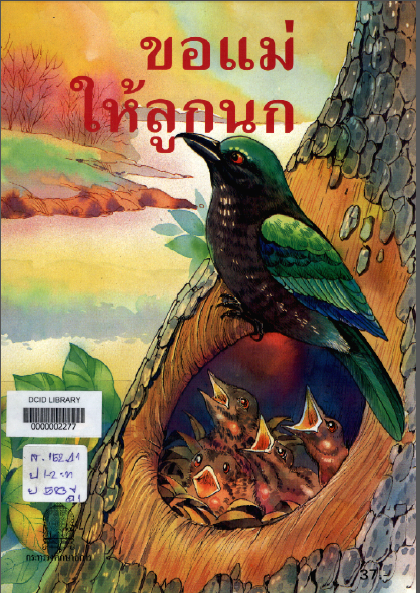 သတၱိရွိေသာအဖုိးအို Author :Jue Sathawaetin This supplementary reading book is suitable for grade 1 - 2. 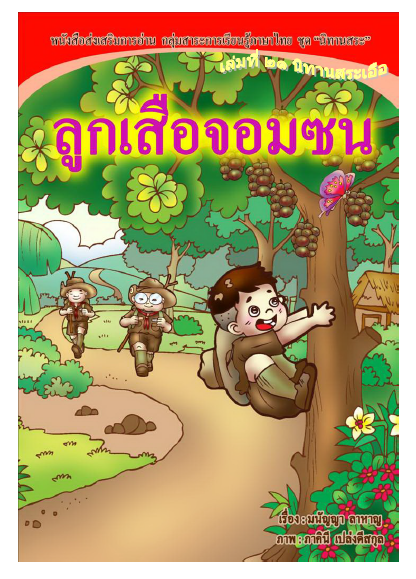 မိခင္လုိအပ္ေသာငွက္ကေလး Author :Boonsom Aerawarop This supplementary reading book is suitable for grade 1 - 2. 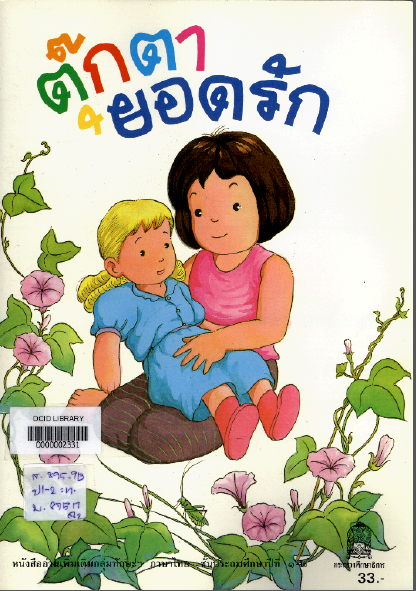 ၀က္ေပတူး (သရတြဲ အမွတ္ ၂၃) Author :Mananya Lahan The supplementary reading book help children learn about Thai Vowel. "The Dirty Pig" is one of the story in the Vowel Collection Stories, which contains 23 books in the series. This book is suitable for primary level students. သင္႔တင္႔လံုေလာက္စြာေနေသာမိသားစု (သရတြဲ အမွတ္၂၂) Author :Mananya Lahan The supplementary reading book help children learn about Thai Vowel. "The Sufficient Family" is one of the story in the Vowel Collection Stories, which contains 23 books in the series. 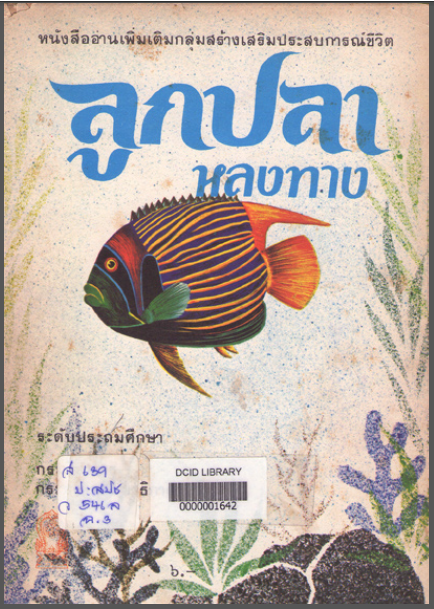 ကင္းေထာက္ကေလး (သရအတြဲ အမွတ္ ၂၁) Author :Mananya Laahann The supplementary reading book help children learn about Thai Vowel. "The Naughty Boyscout" is one of the story in the Vowel Collection Stories, which contains 23 books in the series. အန္တီေႏြ ႏွင္႔ အန္ကယ္ ႏြတ္ (သရအတြဲ အမွတ္ ၂၀) Author :Mananya Lahan The supplementary reading book help children learn about Thai Vowel. 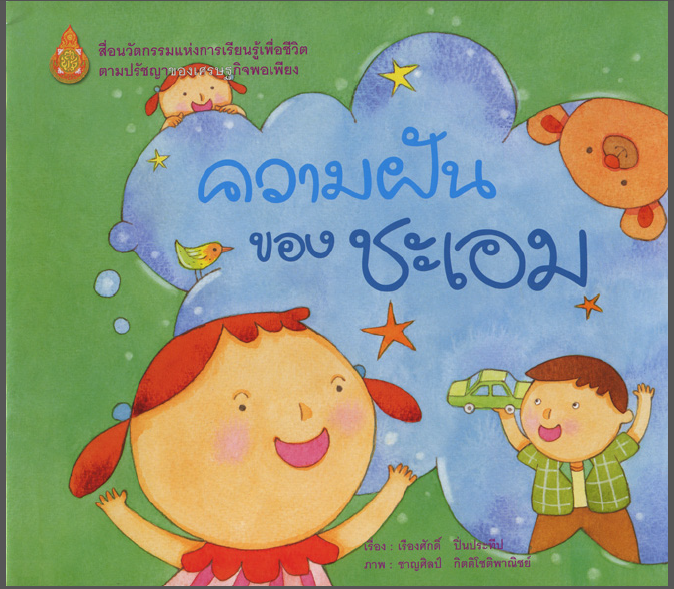 "Aunt Nuay and Uncle Nuad" is one of the story in the Vowel Collection Stories, which contains 23 books in the series. 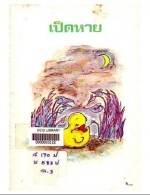 ဦးရဲွ ႏွင္႔ ဦးကဲ (သရတြဲ အမွတ္ ၁၉) Author :Mananya Lahan The supplementary reading book help children learn about Thai Vowel. "Uncle Shae and Kae" is one of the story in the Vowel Collection Stories, which contains 23 books in the series. လူလိမ္ေလး စံုခ်ုိဳင္း (သရတြဲ အမွတ္ ၁၈) Author :Mananya Lahan The supplementary reading book help children learn about Thai Vowel. 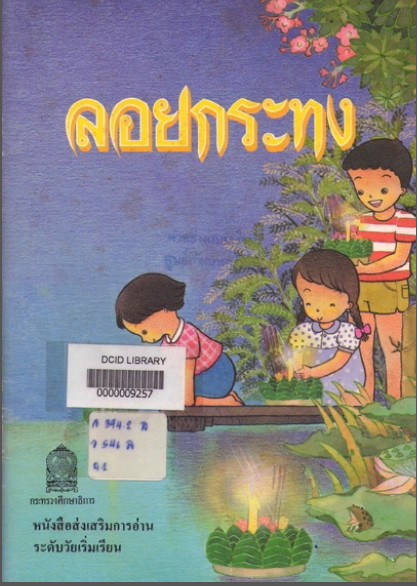 "Liar Somchai" is one of the story in the Vowel Collection Stories, which contains 23 books in the series. 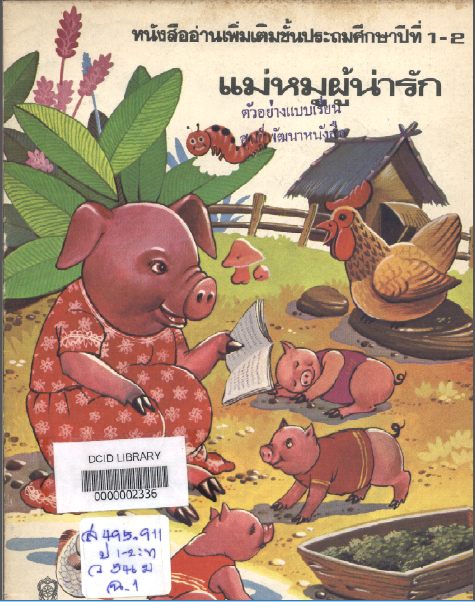 ၾကက္ေမာက္က်ြန္း (သရတြဲ အမွတ္ ၁၇) Author :Mananya Lahan The supplementary reading book help children learn about Thai Vowel. 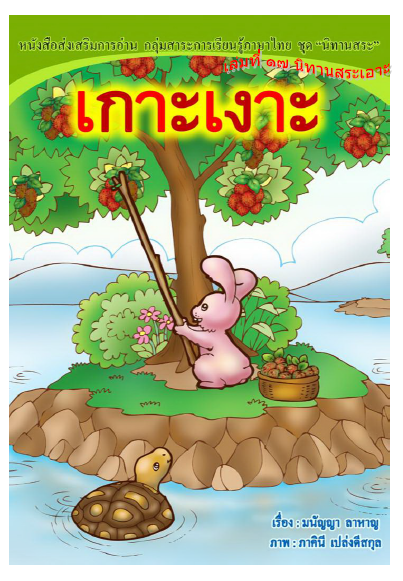 "The Island of Rambutan" is one of the story in the Vowel Collection Stories, which contains 23 books in the series. လိမၼာေသာေကာင္ေလး "အမ္" (သရတြဲ အမွတ္ ၁၆) Author :Mananya Lahan The supplementary reading book help children learn about Thai Vowel. 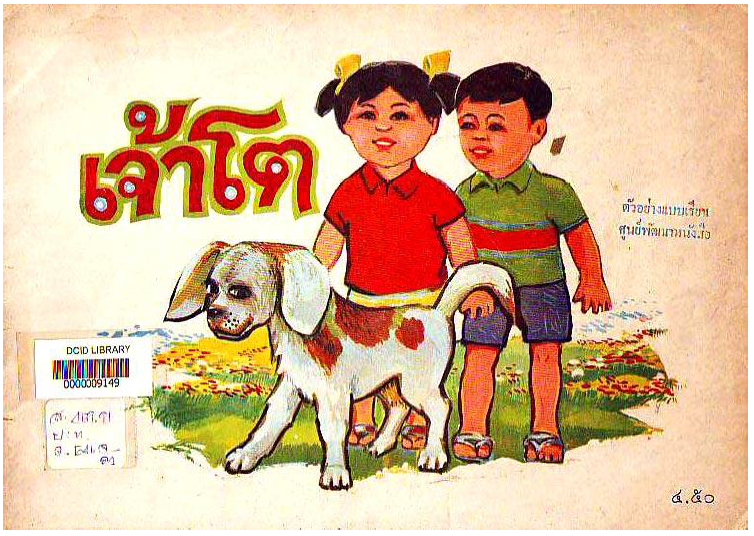 "M the Good Boy" is one of the story in the Vowel Collection Stories, which contains 23 books in the series. 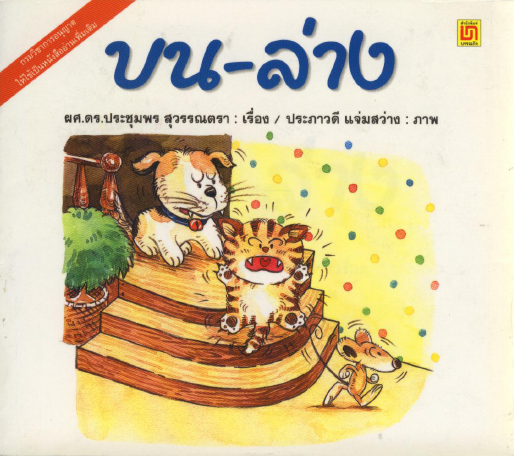 လိပ္နဲ႔အရိပ္ (သရတြဲ အမွတ္ ၁၅) Author :Mananya Lahan The supplementary reading book help children learn about Thai Vowel. 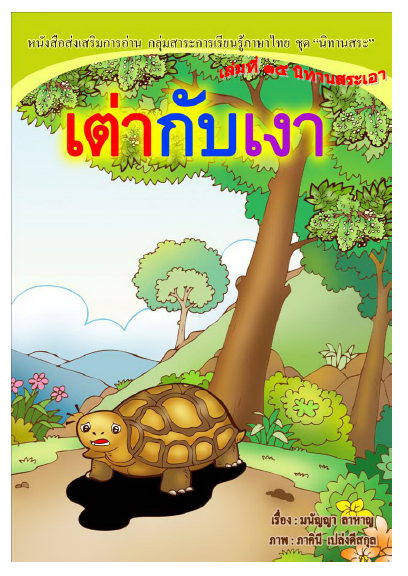 "A Turtle and a Shadow" is one of the story in the Vowel Collection Stories, which contains 23 books in the series. ဘန္ေလး ႏွင္႔ လိပ္ၿပာ (သရတြဲ အမွတ္ ၁၄) Author :Mananya Lahan The supplementary reading book help children learn about Thai Vowel. 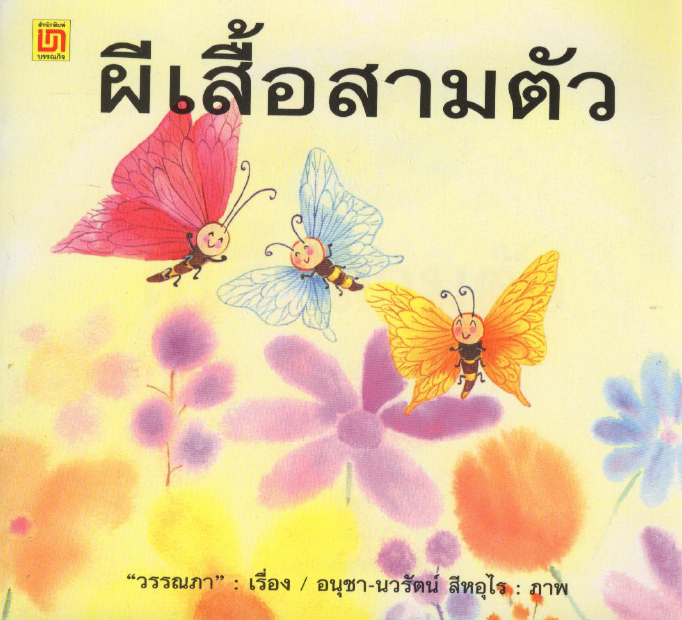 "Banlue and a Butterfly" is one of the story in the Vowel Collection Stories, which contains 23 books in the series. အေမ႔ကုိေမွ်ာ္ေနေသာ တီေကာင္ေလး (သရတြဲ အမွတ္ ၁၃) Author :Mananya Lahan The supplementary reading book help children learn about Thai Vowel. "The Little Word is Waiting for Mom" is one of the story in the Vowel Collection Stories, which contains 23 books in the series. အၾကြားသန္ေသာ ဖား (ထုိင္းသရ အတြဲ ၁၂) Author :Mananya Lahan The supplementary reading book help children learn about Thai Vowel. "The Show off Bullfrog" is one of the story in the Vowel Collection Stories, which contains 23 books in the series. 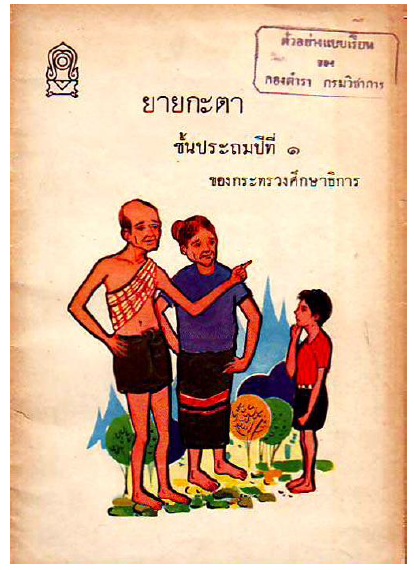 အန္တီ ကမ္လုိင္ (ထုိင္းသရ အတြဲ ၁၀) Author :Mananya Lahan The supplementary reading book help children learn about Thai Vowel. 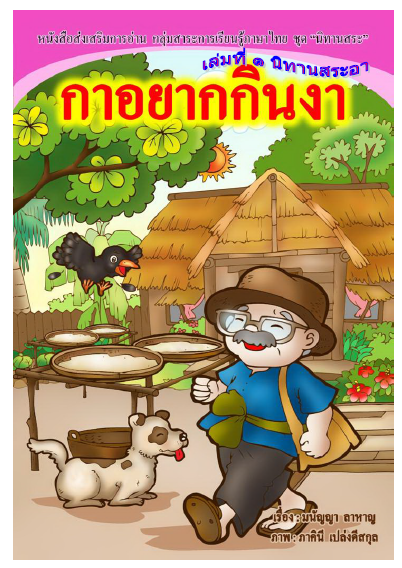 "The Book of Aunt Kumlai" is one of the story in the Vowel Collection Stories, which contains 23 books in the series. ဦးၾကီး ဖုိင္း ရဲ႔ ေခြ်းမေလး (ထုိင္းသရ အတြဲ ၁၀) Author :Mananya Lahan The supplementary reading book help children learn about Thai Vowel. "Fai's Daugter in Law" is one of the story in the Vowel Collection Stories, which contains 23 books in the series. သားပုိက္ေကာင္ႏွင္႔ ၾကက္ဖ (ထုိင္းသရ အတြဲ ၉ ) Author :Mananya Lahan The supplementary reading book help children learn about Thai Vowel. "A Kangaroo and a Rooster" is one of the story in the Vowel Collection Stories, which contains 23 books in the series. စိတ္ထားေကာင္းေသာ စုန္းမၾကီး (ထုိင္းသရ အတြဲ၈) Author :Mananya Lahan The supplementary reading book help children learn about Thai Vowel. "The Kind Witch" is one of the story in the Vowel Collection Stories, which contains 23 books in the series. ညီမေလးေကႏွင္႔ပင္လယ္ကမ္းေၿခ (ထုိင္းသရ အတြဲ၇) Author :Mananya Lahan The supplementary reading book help children learn about Thai Vowel. 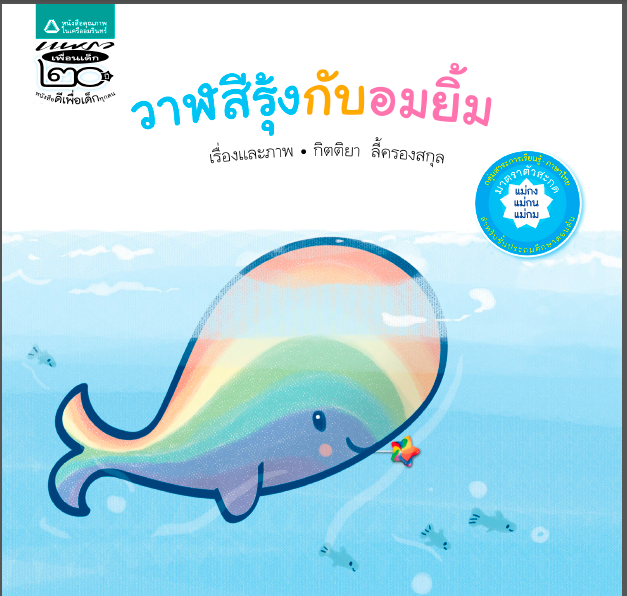 "Kae Goes to the Sea" is one of the story in the Vowel Collection Stories, which contains 23 books in the series. 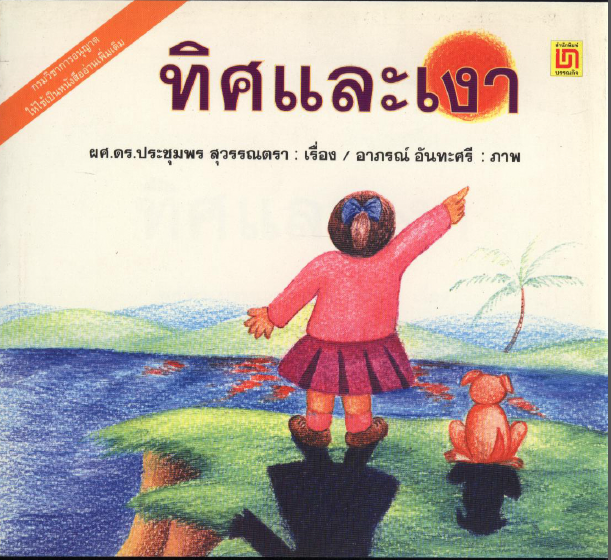 ထက္ၿမတ္ေသာ မိန္းကေလး 'လထာ' Author :Mananya Lahan The supplementary reading book help children learn about Thai Vowel. 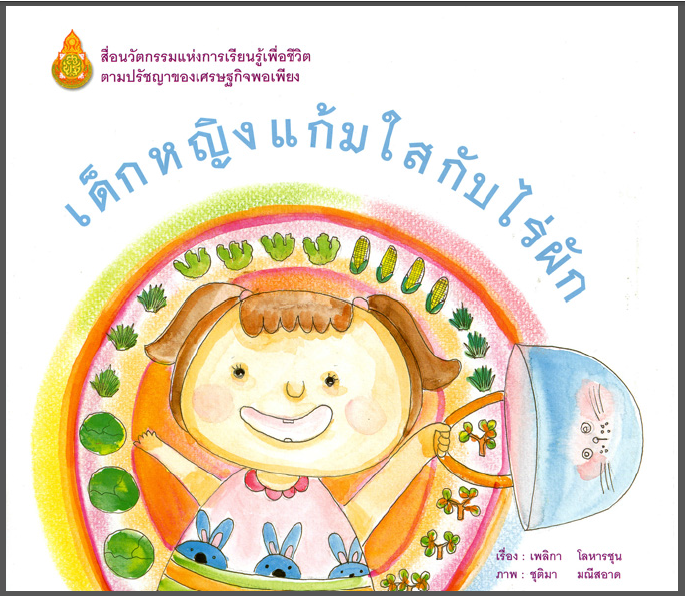 "Ladda the Diligent Girl" is one of the story in the Vowel Collection Stories, which contains 23 books in the series. 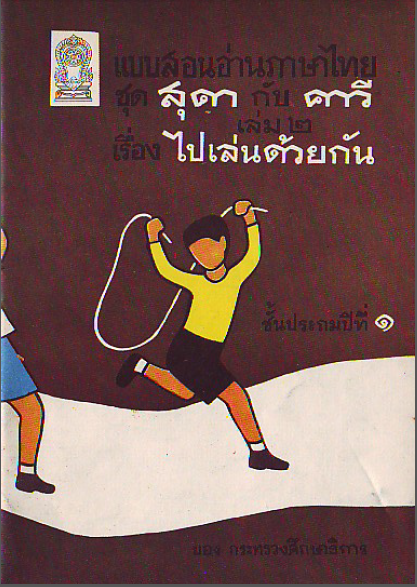 ဗုိက္စူေလး 'ၾကဴ'(ထုိင္းသရ အတြဲ ၅) Author :Mananya Lahan The supplementary reading book help children learn about Thai Vowel. 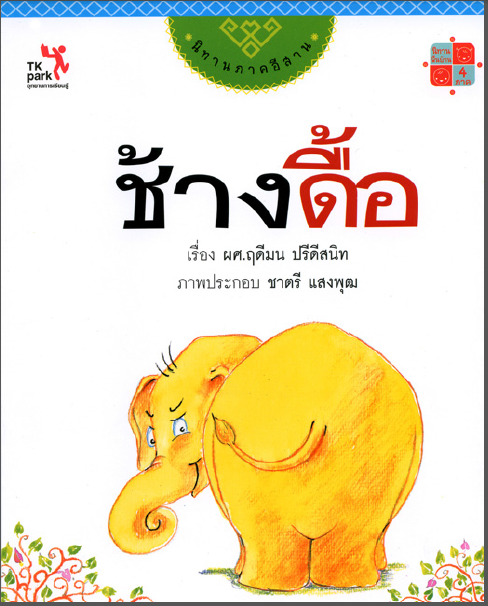 "Big Stomach Joom" is one of the story in the Vowel Collection Stories, which contains 23 books in the series. 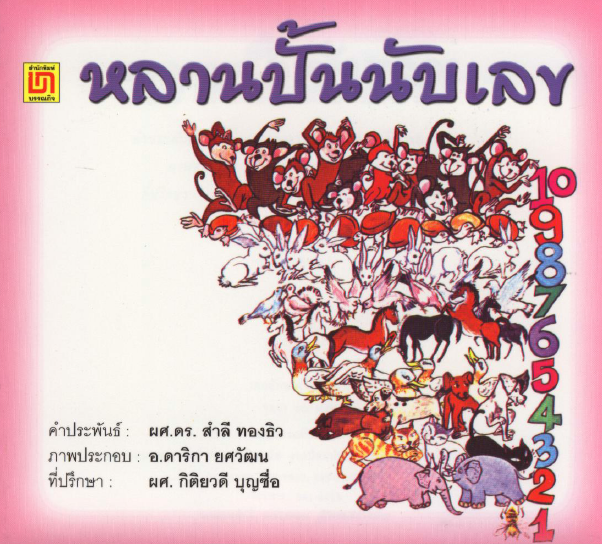 ေနာင္မွတေသာ ေၿမေခြးေလး Author :Mananya Lahan The supplementary reading book help children learn about Thai Vowel. "The Repentant Fox" is one of the story in the Vowel Collection Stories, which contains 23 books in the series. ေမ်ာက္၀ံႏွင္႔ ၀က္၀ံ (ထုိင္းသရ အတြဲ၃) Author :Mananya Laahann The supplementary reading book help children learn about Thai Vowel. 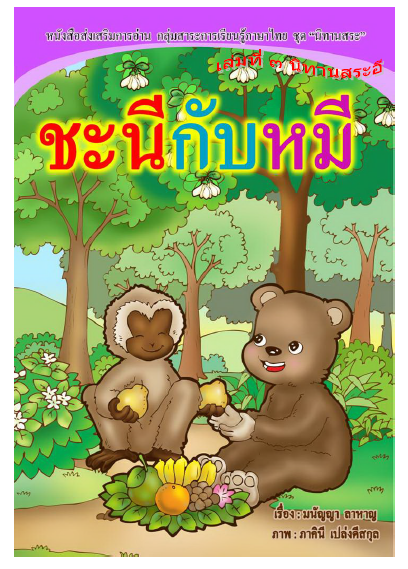 "A Gibbon and a Bear" is one of the story in the Vowel Collection Stories, which contains 23 books in the series. ဂဏန္း ေၿမြ နဲ႔ ၀က္ (ထုိင္းသရ အတြဲ ၂) Author :Mananya Lahan The supplementary reading book help children learn about Thai Vowel. 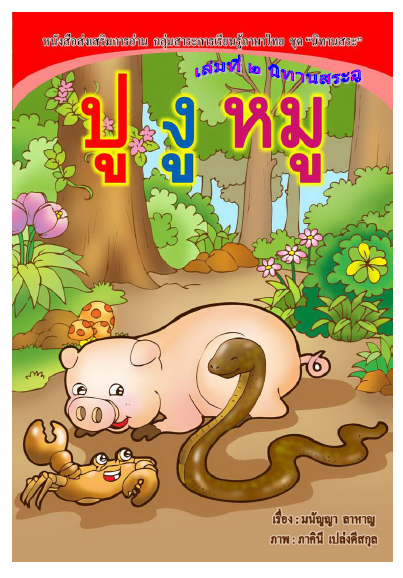 "A Crab, a Snake and a Pig" is one of the story in the Vowel Collection Stories, which contains 23 books in the series. 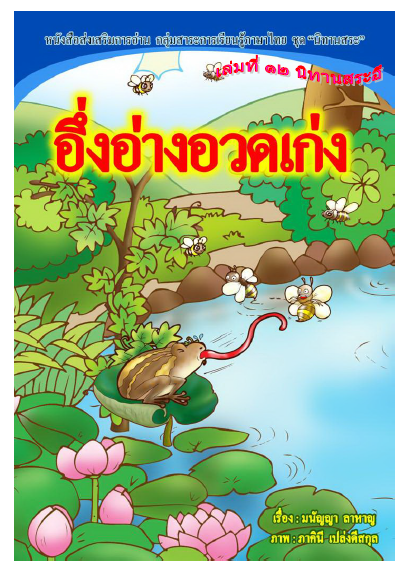 နမ္းစားခ်င္ေသာ က်ီး Author :Mananya Lahan The supplementary reading book help children learn about Thai Vowel. 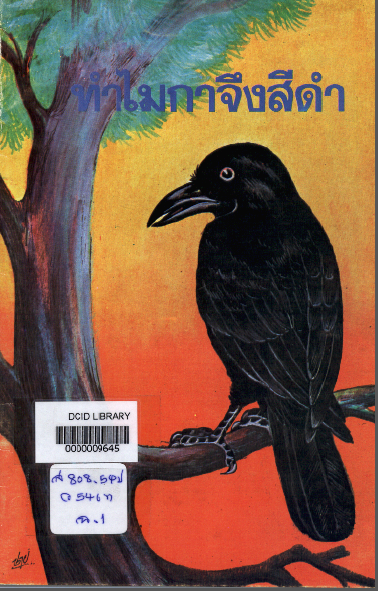 "The crow wants to eat sesame" is one of the story in the Vowel Collection Stories, which contains 23 books in the series. တူေလး 'ပန္' ဂဏန္းသခ်ၤာေရတြက္ေနသည္။ Author :Assistant Professor Sumlee Thongthew This storybook is about counting number 1 - 10, which is suitable for primary level. 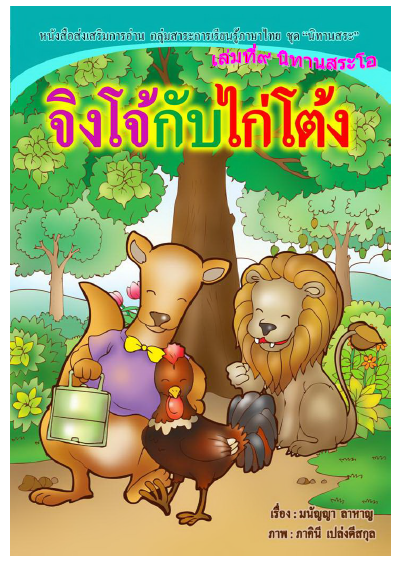 ေရၿမင္းဖင္နီ Author :Saifun This storybook provides reading practice, which is suitable for primary level students. 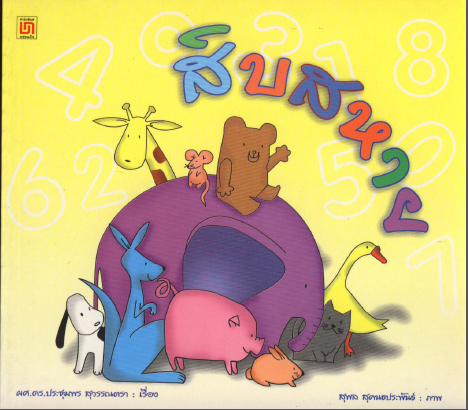 သူငယ္ခ်င္း ၁၀ ေယာက္ Author :Assistant Professor Prachumporn Suwantra This storybook is about counting number 1 - 10, which is suitable for primary level. 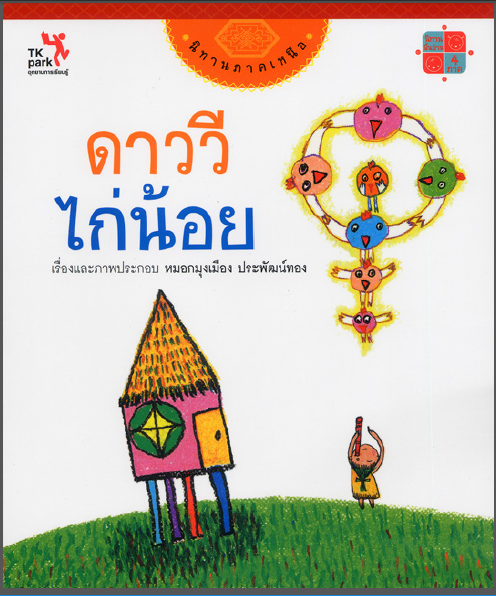 စက္၀ုိင္း Author :Assistant Professor Prachumporn Suwantra This storybook illustrated about circle (Geometry), which is suitable for primary level. 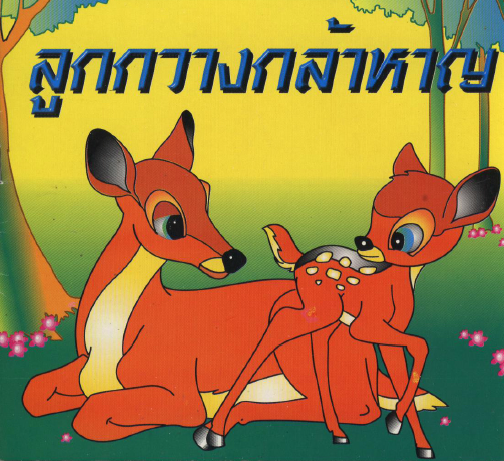 (English) The Brave Baby Deer This storybook provides reading practice, which is suitable for primary level. 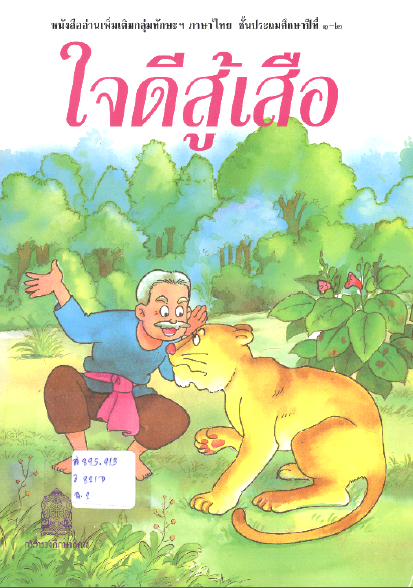 ေၾကာင္ကေလးရဲ႔ ဖိနပ္နီနီ Author :Thaksina na Tatuathung This storybook provides reading practice, which is suitable for primary level. 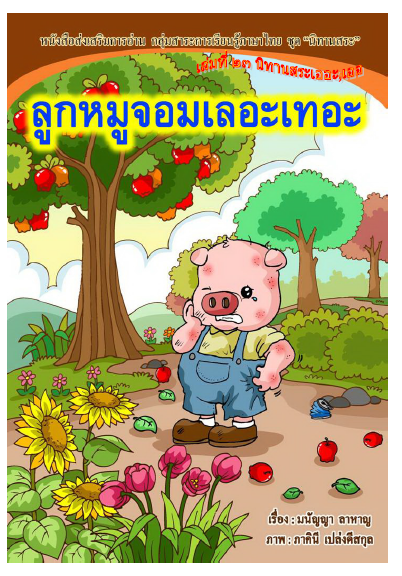 လိပ္ၿပာသံုးေကာင္ Author :Wannapa This storybook provides reading practice, which is suitable for primary level. 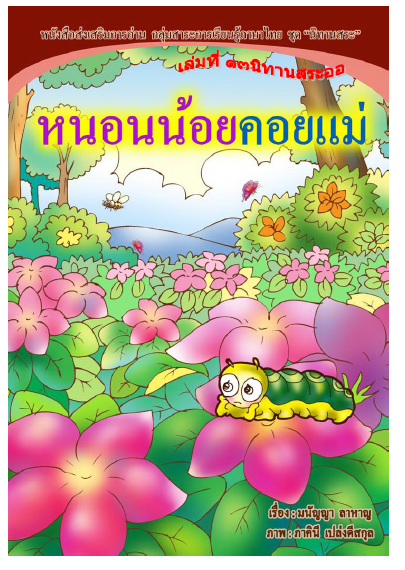 This storybook provides reading practice, which is suitable for primary level. 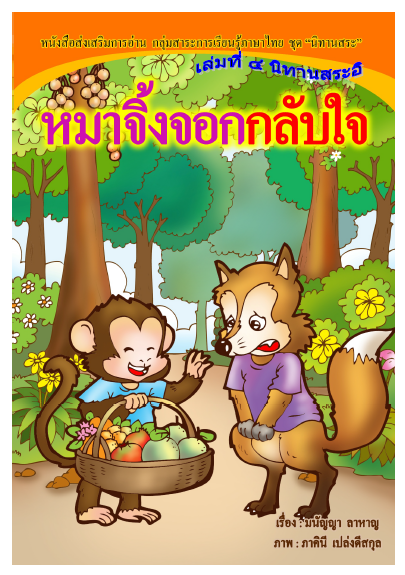 "ပုေပြ" ရဲ႔ ကြတ္ကီး Author :Jirunya This storybook provides reading practice, which is suitable for primary level students. 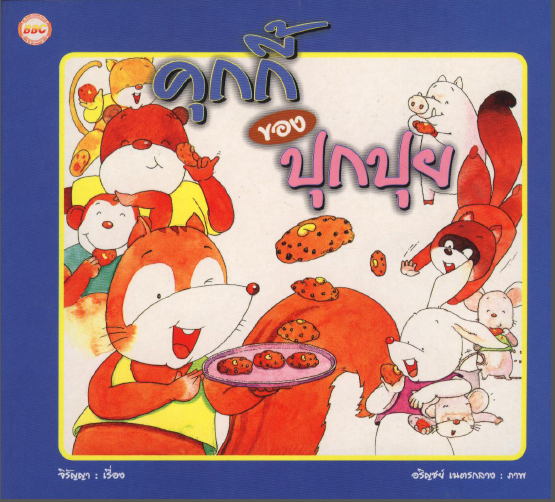 ၾကက္ကေလး "ေဒါင္၀ီ" Author :MhokmungMuang Prapatthong This storybook is a folktale, which is suitable for primary level. 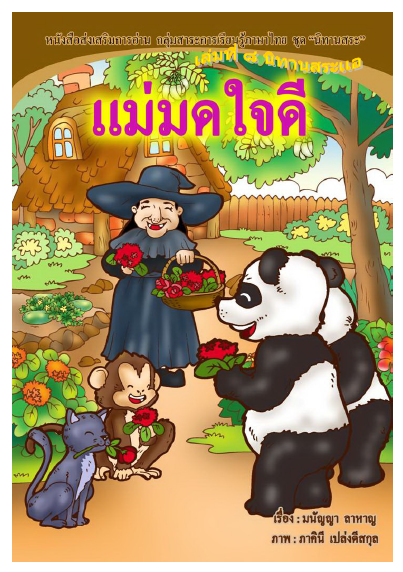 This storybook is a folktale, which is suitable for primary level. 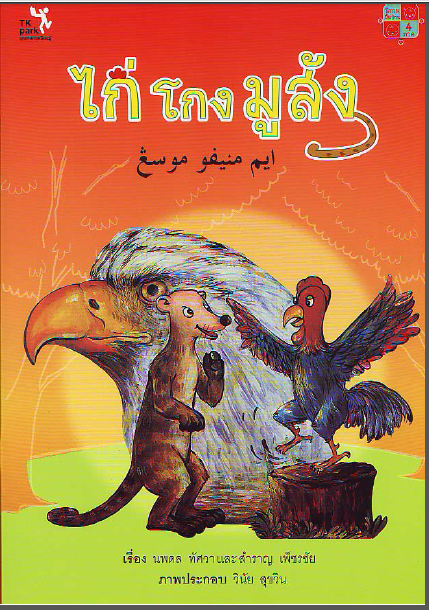 ေခါင္းမာေသာဆင္ကေလး Author :Assistant Professor Ruedeemon Preedeesanit This storybook is a folktale which is suitable for primary level children. 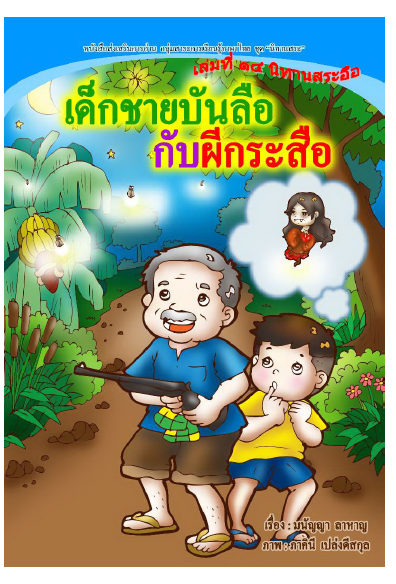 This storybook is a folktale which is suitable for primary level children. 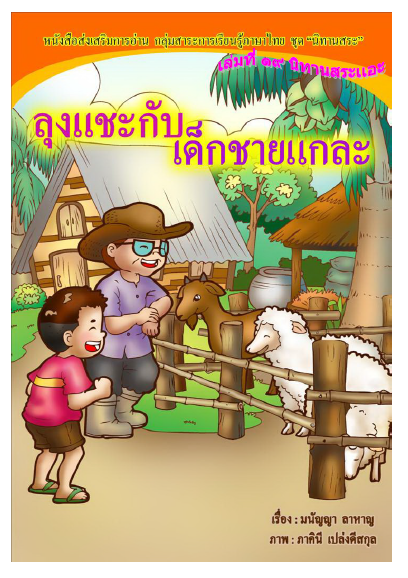 "ခ်အိန္" ၏ အိပ္မက္ Author :Ruengsak Pinprateep This storybook provides reading practice, which is suitable for primary level students. "ကဲ႔စုိင္" ႏွင္႔ သူမ၏ စုိက္ခင္း Author :Pelika Lohanchoom This storybook provides reading practice, which is suitable for primary level students. 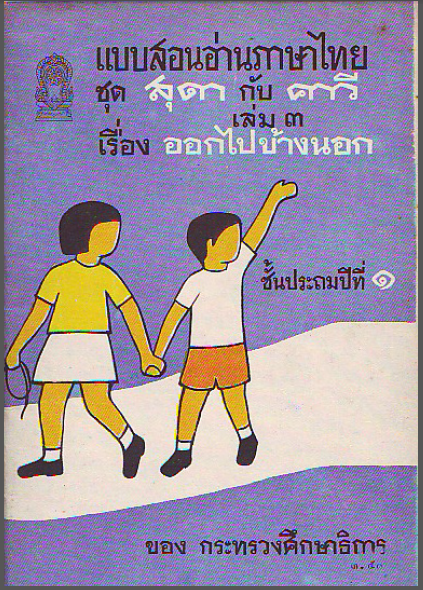 အေတာင္ပံေလးတစ္စံု လုိခ်င္တယ္ Author :Department of Curriculum and Instruction Development, Ministry of Education This supplementary reading book is suitable for primary level students. 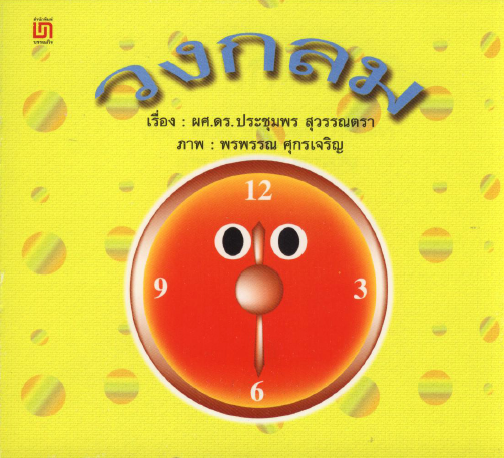 This supplementary reading book is suitable for primary level students. 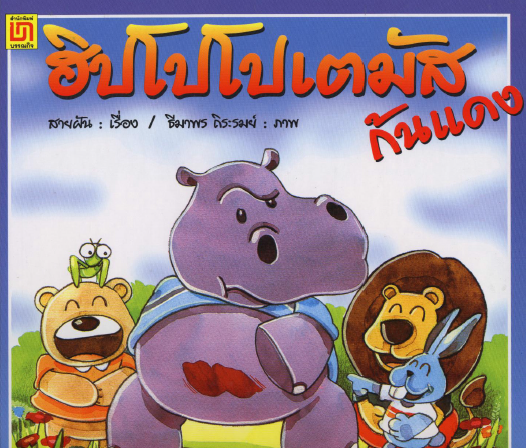 လိမ္လည္ေသာ ၾကက္ဖေလး "မူဆန္" Author :Noppadorn Tassawa and Samran Petchai This storybook is a folktale in 4 regions which is suitable for primary level. စုဒါနဲ႔ကာ၀ီ လမ္းလည္ထြက္ၾကမယ္ (အတြဲ ၃) Author :Department of Curriculum and Instruction Development, Ministry of Education This supplementary reading book is suitable for grade 1. 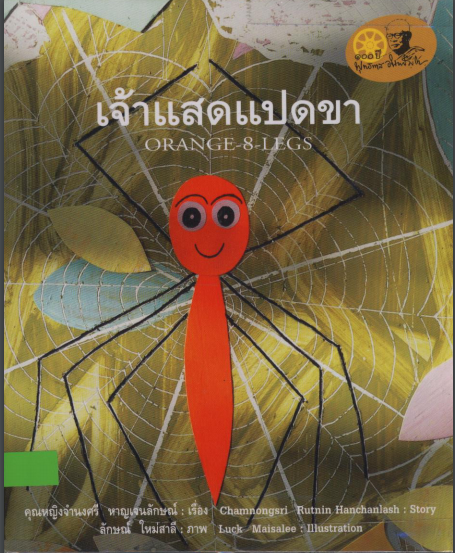 This supplementary reading book is suitable for grade 1. 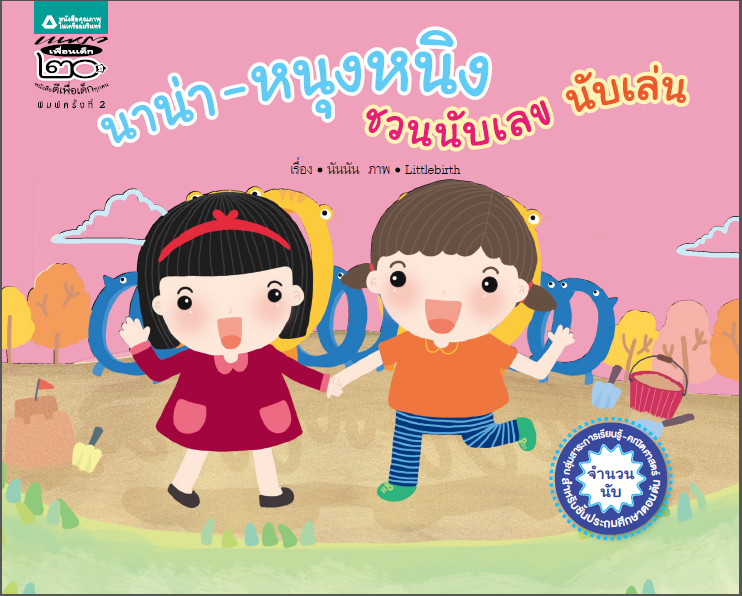 Suda and Kawee: Let's Play (No.2) Author :Department of Curriculum and Instruction Development, Ministry of Education This supplementary reading book is suitable for grade 1. 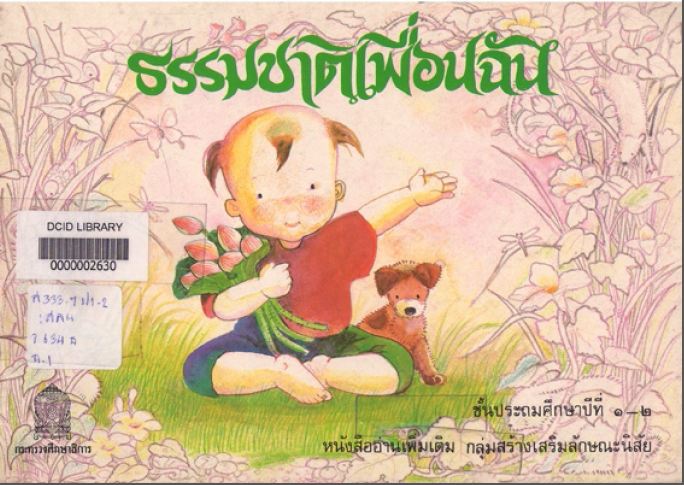 This supplementary reading book is suitable for grade 1. 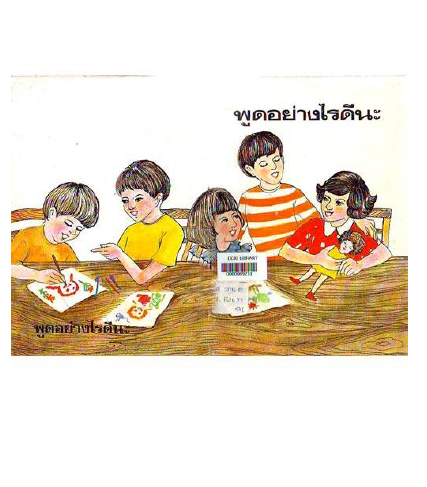 လြိဳင္းကထံု ဆီမီးေရေမ်ာပြဲ Author :Department of Curriculum and Instruction Development, Ministry of Education This supplementary reading book is suitable for early childhood level. 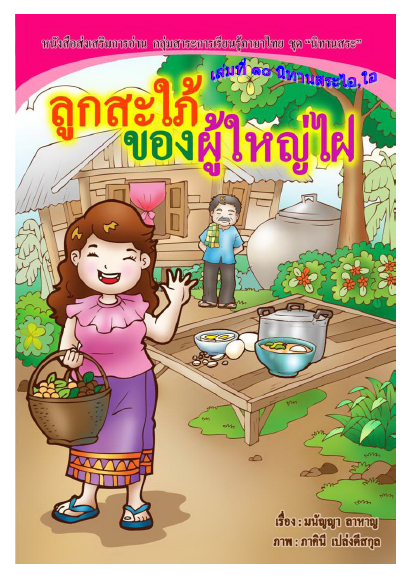 ဘယ္လုိေၿပာရင္ေကာင္းမလဲ Author :Department of Curriculum and Instruction Development, Ministry of Education This storybook provides reading practice which is suitable for primary level students. 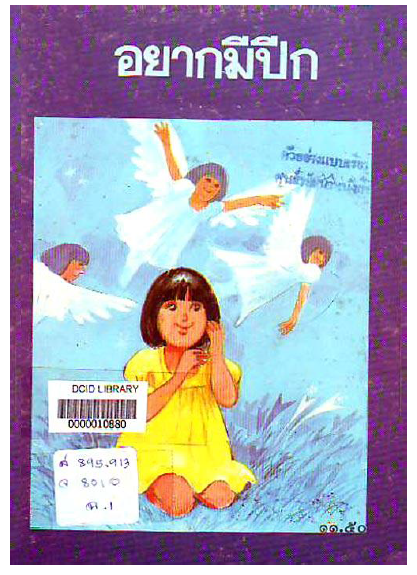 ေခြးကေလး "သို႔" Author :Department of Curriculum and Instruction Development, Ministry of Education This supplementary reading book is suitable for primary level students. 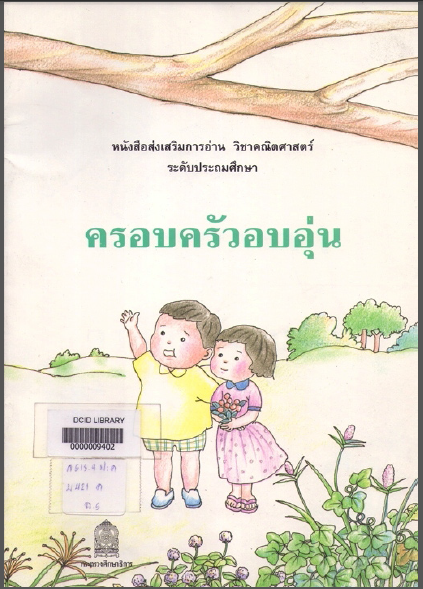 This supplementary reading book is suitable for primary level students. 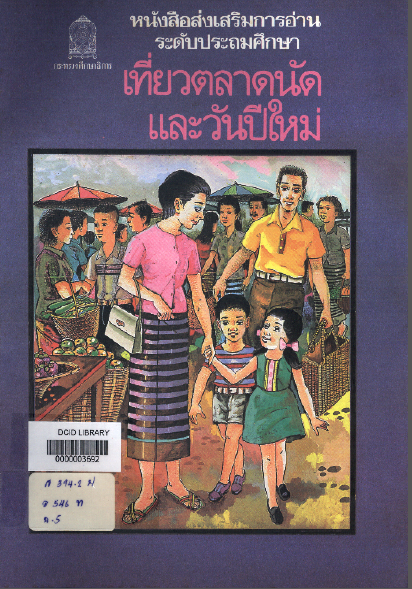 အဖုိးနဲ႔အဖြား Author :Department of Curriculum and Instruction Development, Ministry of Education This supplementary reading book is suitable for grade 1. 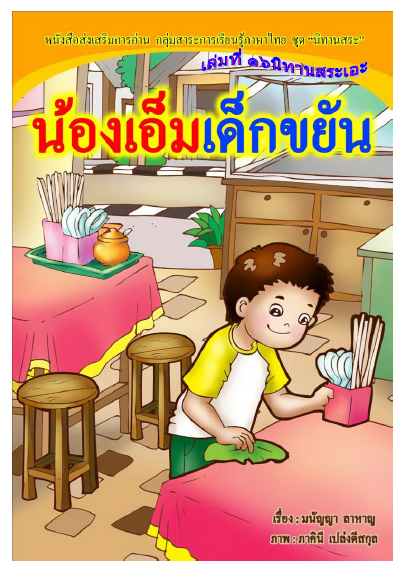 This supplementary reading book is suitable for grade 1. 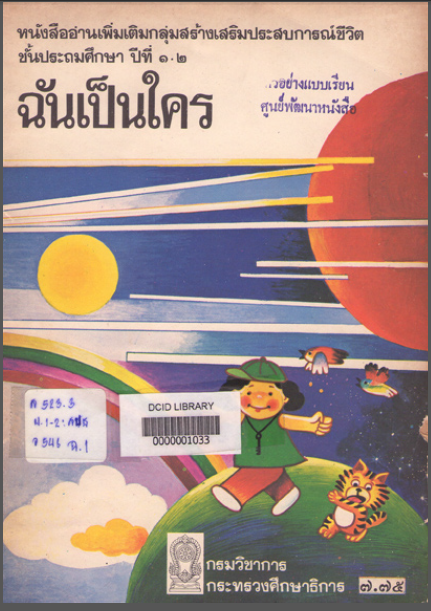 အနီးအနားမွ သူငယ္ခ်င္းမ်ား Author :Department of Curriculum and Instruction Development, Ministry of Education This supplementary reading book is suitable for early childhood level. 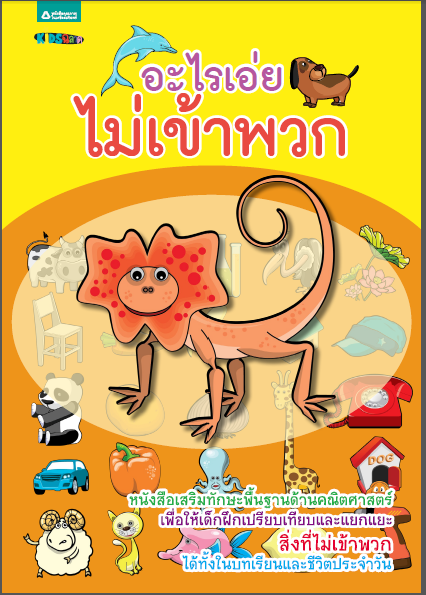 This supplementary reading book is suitable for early childhood level.